Martini Edition The lovely cosmetic special edition. 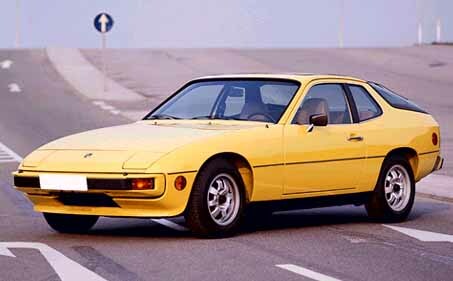 The 924 originated as a contract design by Porsche for Volkswagen, based mainly on readily available parts from the VW parts bin. The car was to be the VW Type 477, also known by the code name EA435. However, VW chose to cancel plans late in the project for financial reasons. Porsche then bought the rights to the design for $60 million ($10 million less than the cost of development) and produced the car, having VW assemble the cars at its Audi plant in Neckarsulm. Initial configuration was a 2.0L inline-4 SOHC engine producing 125hp in the ROW (Rest of World) configuration, 95hp in the US, mated to a 4-speed transmission, with solid front disc and rear drum brakes. Porsche then proceeded through a series of upgrades to improve the performance of the car to meet the public's expectations of Porsche performance. Upgrades involved better brakes (vented discs front and rear), optional sport suspension (including springs, torsion bars, swaybars, shocks and struts), 5-speed transmissions, and more power for the engine. Comfort and convenience upgrades included the addition of AC, power windows, power mirrors, better stereo, optional 3-speed automatic transmission, and the like. Other steps were taken by Porsche to try to improve the car's appeal in the market, starting with special editions such as the Martini Edition (also known as the Championship Edition, in 1977), the Limited Edition (1978), and the Sebring edition (1979). 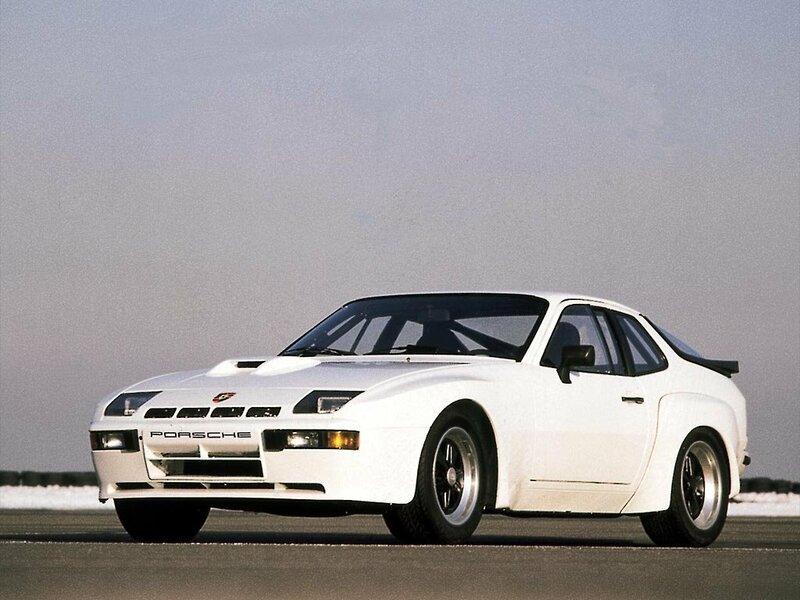 Trying to take this effort further, Porsche worked with a few major American dealerships starting in 1979 to enter and conquer the SCCA's D-Production arena with the D-Prod Kit Cars, known internally as the 933 (the internal Porsche project number). 16 of these were made. Most are still around, but few are still in D-Prod form, as the class was dropped in the 80's. The majority have been upgraded to GT3 specs for SCCA racing, or GT5 in Porsche Club Racing. 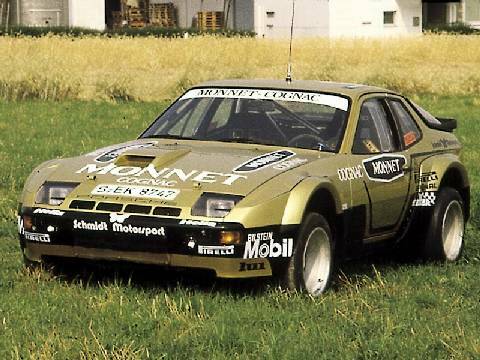 The real boost in performance the 924 needed was achieved with the release of the 924 Turbo, also known as the 931, in late 1979. Compression was reduced slightly from the 924 to handle the boost, and a new head was implemented with better flow characteristics. Boost levels were moderate, 8-10psi. The engine was fitted with an oil cooler for durability. 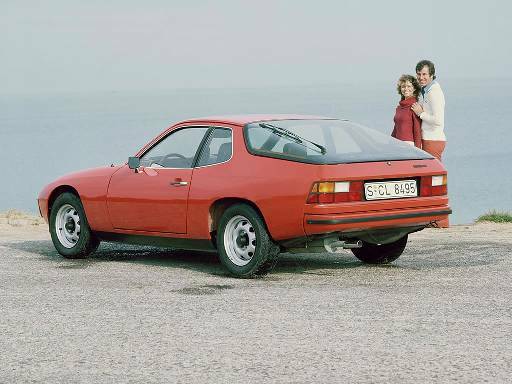 The 931 came with a 5-speed trans from the start, but had the early-style disc/drum brakes. 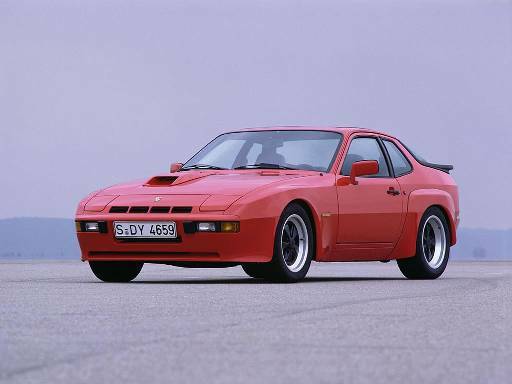 It became clear that the increased performance of the 931 needed the better, later, optional 4-wheel vented disc brakes. Later versions of the 931 received improved digital ignition systems. 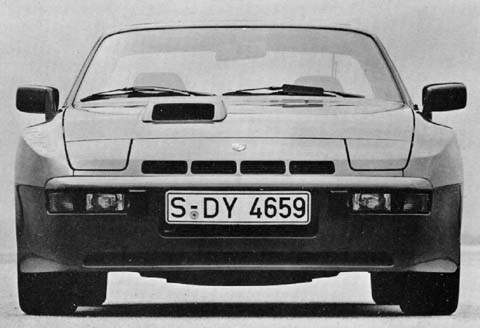 931's are most easily identifiable by the NACA duct in the hood on the right hand side, the slotted vents on the front nose on the badge panel below the Porsche badge. 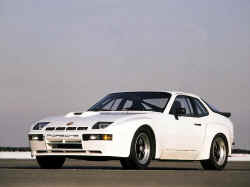 In 1981 the 924 Carrera GT was released, the hot-rodded 931, also known as the 937. Cosmetically, it foreshadowed the 944, with a wide front end to cover the wider track, but the rear width was strictly increased through the use of small add-on flares, as seen currently on the 911 GT2 cars. The extra bodywork was all plastic, not fiberglass. The better brakes were standard, but with slightly different brake circuitry due to the different suspension geometry. 16" Fuchs rims and upgraded suspension and brakes were standard. The engine made substantially more power than the 931 thanks to an intercooler, higher boost, and lower compression. The intercooler was mounted integral to the charge tube going from the turbo to the throttle body, right over the cam cover, to minimize turbo lag. However, getting airflow to this location was difficult, and resulted in the scoop on the hood over the cam cover. Only 406 of these were made, and none officially imported to the US, though a handful made it in through private importers (grey-market). Later on the Carrera GTS and GTR were released. These were not referred to by distinct model numbers, as they were developed from the 937 Carrera GT, and so are also considered 937's. They were, by contrast with the other models, built at Porsche in Zuffenhausen. 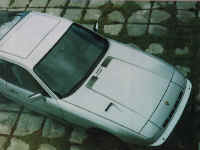 The GTS had an intercooler in the nose, as later reused in the 944 Turbo, with fixed headlights behind plexiglass covers forced by removal of the headlight linkage to accommodate the intercooler ducting. Weight was lowered and power improved, but the car was still street-legal, at least in Europe. 59 GTS's were made, with 15 in Club Sport configuration - further weight-reductions, rollcage, etc. The GTR was a pure racecar, developed for the endurance races of LeMans, Sebring, and the like, making 375bhp and beyond, and weighing even less. Every detail of the cars were heavily modified for racing, especially the suspension, with plenty of details for endurance racing, like air jacks, dry-break fuel cell refueling, etc. The roll cages were particularly neat, being constructed of welded alloy, well gusseted and bolting into the car's body at 14 points. A matching strut tower brace added further stiffening in front of the firewall. 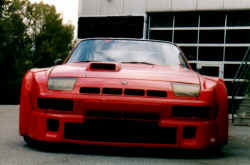 The intercooler for the GTR was much larger besides than the GTS, but also located in the nose of the car. Only 18 GTR's were constructed. Model Outline - at Kevin's 944 FAQ site. This site just keeps getting better and better. Production and Import Numbers - also at Kevin's. Model Information - and also at Kevin's.